For as long as I can remember, I, along with my fellow Americans, have anxiously awaited Punxsutawney Phil’s all-knowing weather prediction every February 2nd. Will we suffer through six more weeks of winter or is a beautiful spring finally on the horizon? To be honest, I’ve never given much thought to where this tradition came from. I’ve simply accepted it as a quirky little holiday and gone about my business. Needless to say, I was a little surprised when I found out that it was German immigrants who brought this tradition to America. 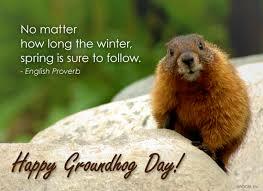 But, here’s the twist — the groundhog was not their first choice of weatherman. 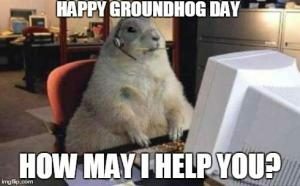 Where does the groundhog come in, you ask? Well, due to traditions passed on by the ancient Romans, certain animals were believed to have weather-predicting capabilities in various European countries. In Germany, this animal was a badger. From medieval times, people had believed that the animal awoke from his hibernation to make the weather prediction for the farmers. If the badger didn’t see his shadow when he came out, it was a good time to begin the planting, but if the badger did see his shadow, the cold would prevent farming for the next several weeks. So, leaving you with the recipe for groundhog punch, I wish you all a Happy Groundhog and a Happy Badger Day!